A significant part of our life we spend at our home or apartment. Our mood, health and even achievements at large degree depend on the comfort at home and harmonious design. For realization of dreams regarding the plan and home design is very important at first create an accurate and professionally designed plan. Creation of home plans, house interior designs, home outside designs and plans of design the home surrounding area is very important for getting correct and expected end result. 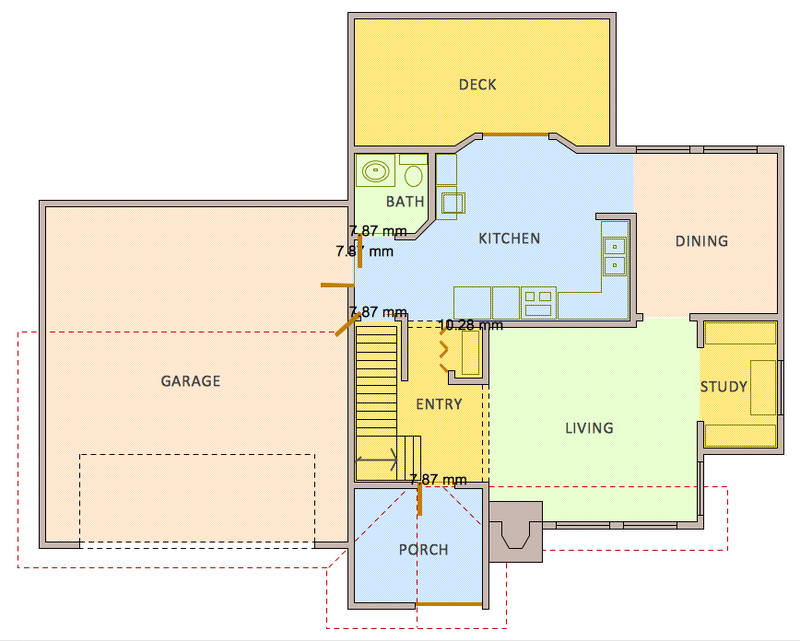 The Floor Plans solution for ConceptDraw DIAGRAM provides a number of easy-to-use drawing tools, collection of templates and samples, and variety of libraries with numerous predesigned vector elements which were designed specially to facilitate drawing process of exceptionally looking Home Plans and Home Designs. All these predesigned objects are easy-to-use and vector, so you can resize them without loss of quality, change their color to make your plans more interesting, bright and attractive. The Floor Plans solution also offers at your disposal the set of ready templates and samples of home design plans. All they are the perfect examples and the source of inspiration. Besides, you can start your own drawing with any of them and simply make some changes according to your needs and taste to receive your own new Home plan in a few minutes. Designing your own house sounds exciting at the beginning, but as the time passes, the more you realize there are stumbling blocks. To aid yourself, discover how to use house design software, and develop floor plans, landscape layouts or furniture arrangement plans easily. You can start from altering templates, and you won’t even notice how your designing skills would improve rapidly. 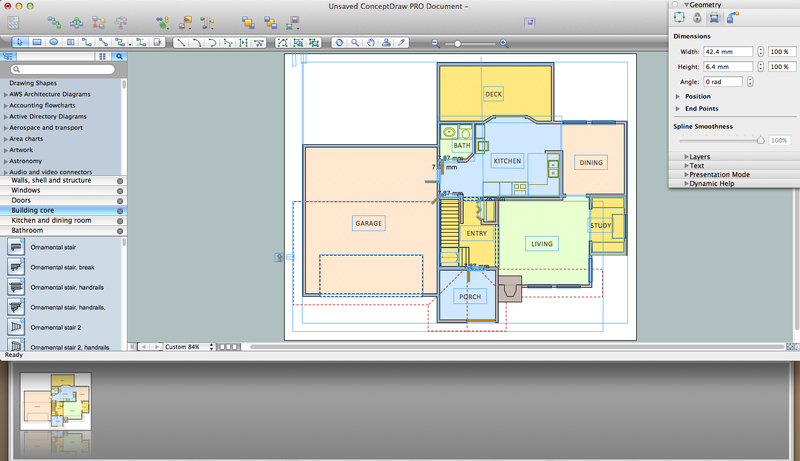 This private country house and landscape plan was created using ConceptDraw Floor Plans solution. Its power set of libraries containing near 700 vector graphic elements enhanced with handy templates is designed, so that an ordinary people can create professional floor plans. Using the stuff, provided by this solution, you can effortlessly design a plan of house, rooms and even backyard layout and landscape. This will save your time and money.This sample plan represents a detailed plan of the private ownership. It defines the apartments layout, the appointment arrangement and even possible location of plants in the garden.